Can you say WOW?!? This beautiful water slide starts off with a dramatic drop, followed by twists and turns that will give you a ride of a lifetime. 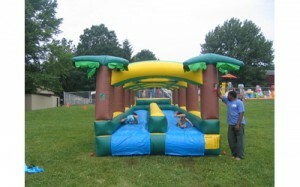 This double lane slide gives the participants two different slide heights to choose from. Experience a water slide like you have never experienced before! 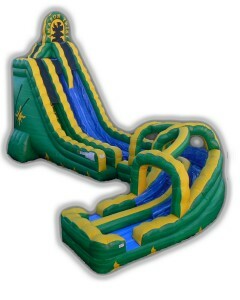 This double lane curved slide is packed with excitement as you ride down one of the lanes. This licensed Cars Double Lane slide will bring fans from Carburetor Country running. Kids can climb up the center tunnel, which is topped off by a three-dimensional Lightening McQueen, and then choose a side for a speedy ride to the cushioned bottom. 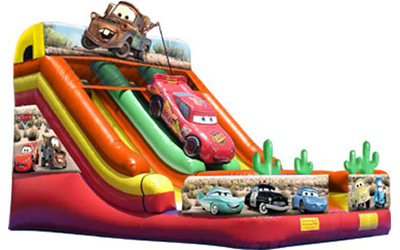 Mater, the fun-loving truck sits atop and 3D cacti flank the end of each racing-inspired slide. Slide down our giant, double lane, circus themed slide. Climb up the center stairs and at the top choose either the right or left slide lane. This slide is great for big crowds for it really keeps the line moving faster than our single lane slides. This vibrant colored double lane water slide will surely catch everyone’s eye. 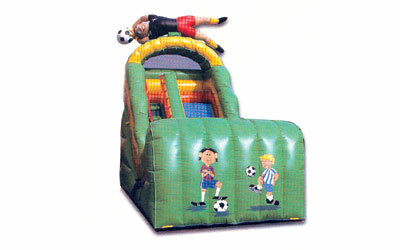 Slide straight down, over the hump and then around the bend to the end of this monster slide. This slide has a unique non slip material on the entrance ramp. Slide down our giant double lane slide western style. But watch out! 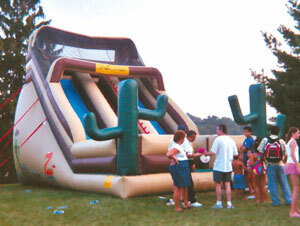 Don’t get pricked by the giant inflatable cactus on the bottom.This slide is great for big crowds for it really keeps the line moving faster than our single lane slides. 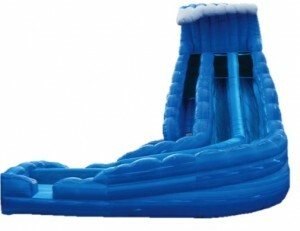 Get wet on a hot day! 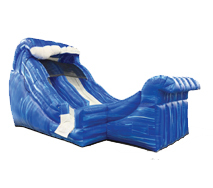 Race your friends down this double lane inflatable slip and slide. 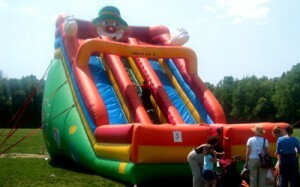 Slide into the camping spirit with this inflatable slide. 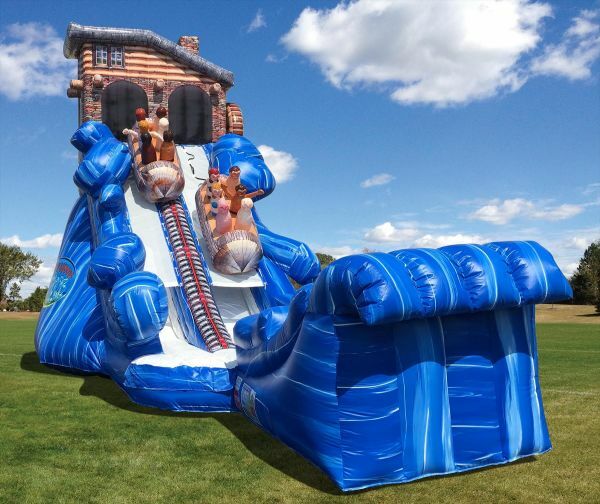 This single lane water slide is a thrill for riders as they slide out of a log cabin tunnel. 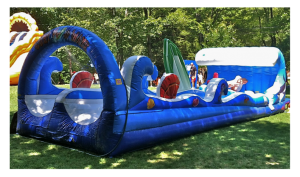 Take the plunge down the mighty Niagara Falls and slide along the rainbow-covered river on this super deluxe water slide. 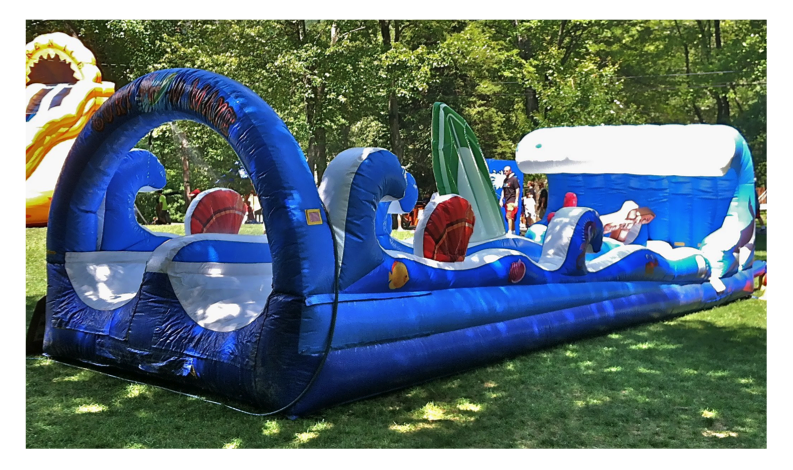 Over 60 FEET of Fast-Paced, Splashing Good Times! 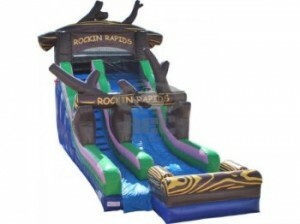 You will never be up the creek without a paddle on our Rockin’ Rapids Water Slide! Our new single lane sports themed slide is sure to be a hit with kids at your next event. 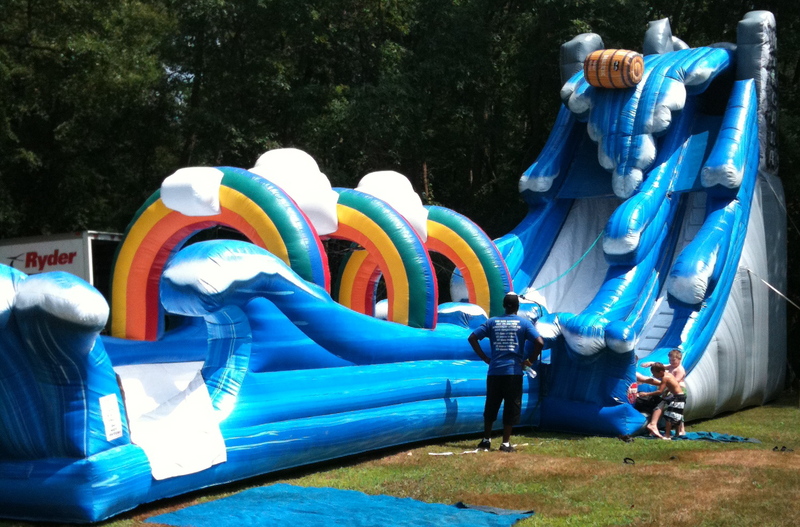 Who will make it to the end of this beach themed inflatable slip n’ slide first? 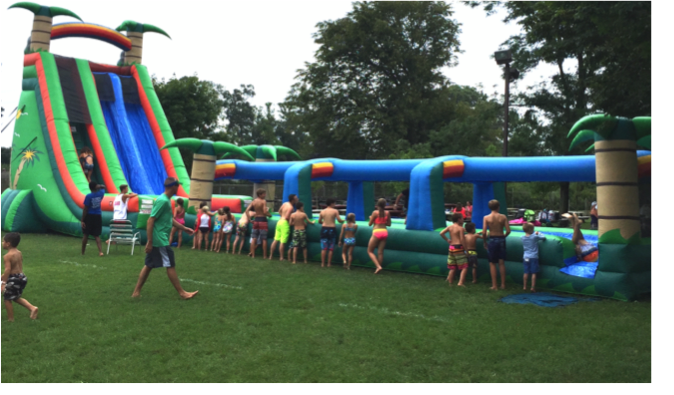 Two people at a time dive headfirst and slide down our wet slippery slip n’ slide! Beautifully constructed. Enter one at a time onto the tree house and slide down to the end. 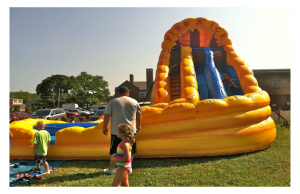 Introducing our first ever 3 Lane water slide!!! Move the kids quicker so there is more fun to be had. 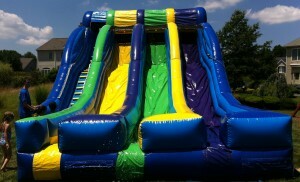 This colorful wet slide is sure to be a splash hit at your next event. Start your climb up this 27′ dual lane waters slide. 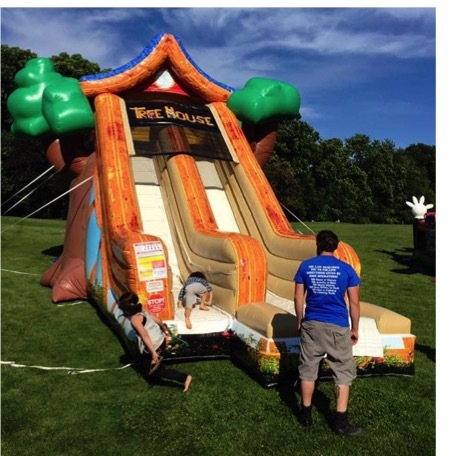 Once you reach the top take your wave down 65′ of slide. Cowabunga Dude! Hang 10 as you slip down on this single lane 14’High wild wave.